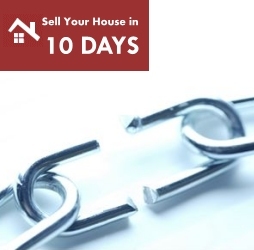 If you are in a property chain then you are aware that it can be a very tiresome and stressful time. If any part of the chain is broken, eg the buyer of your property changes their mind, this will leave you in a very vulnerable position. You most likely will have to remarket your property. In these circumstances we can quickly buy your house with minimum hassle and to your timeframe - allowing you to move on with your plans, whether that is to secure a new home or pay off your debts etc.